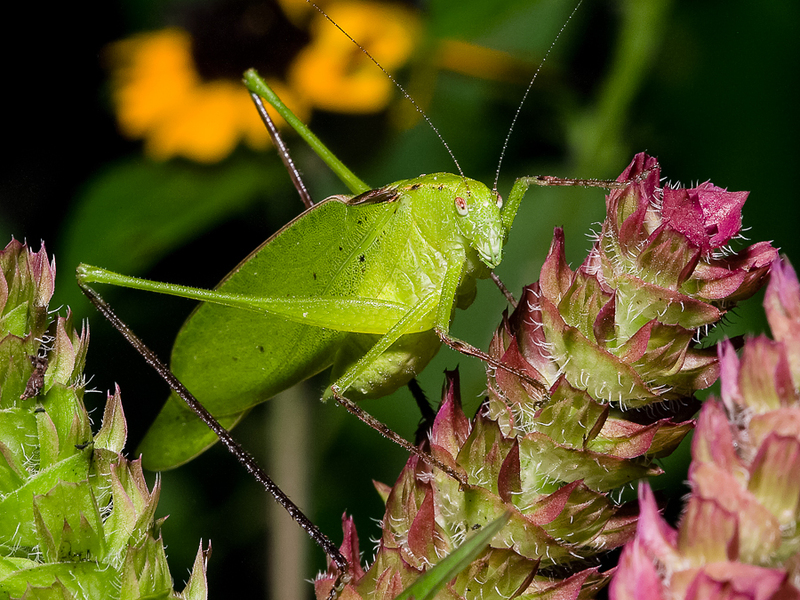 Virtuoso is certainly an appropriate name for this gorgeous katydid with an exceptional song. Built on the same basic plan as other members of the genus Amblycorypha, the Common Virtuoso Katydid can be recognized by the brown coloration of the lower portions of all its legs, as well as the scattering of dark spots on its back and wings. 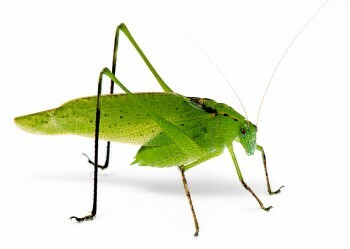 What’s more, the Virtuoso’s complex song is perhaps the most amazing of all the orthopterans. 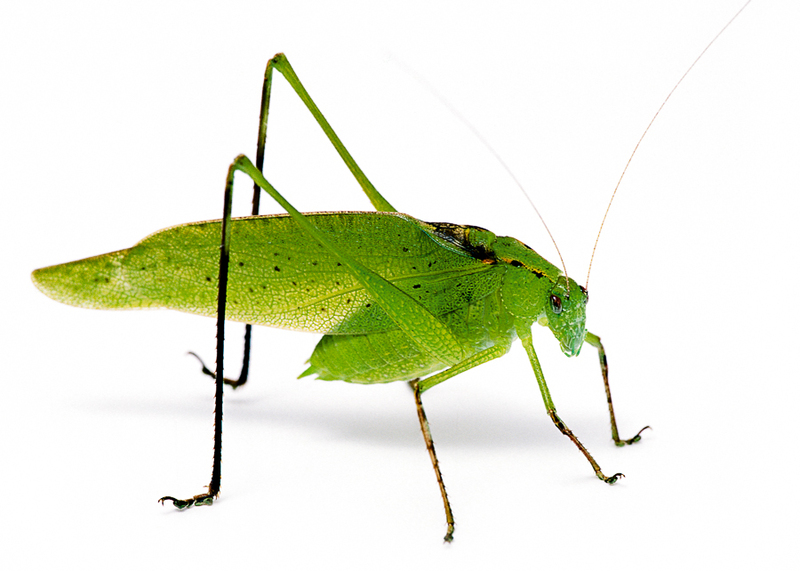 Song of a Common Virtuoso Katydid (scroll down for explanation and additional recordings!). Song: Highly variable from one individual to the next, but composed of several distinct kinds of sounds. Because of its complexity, it is difficult to say exactly where a song begins or ends. Nevertheless, song may unfold as follows. Every few seconds or so we may hear a brief shuffle that drops in volume from beginning to end. Then we may hear a series of ten or more sharp ticks, given at a rate of one or two per second. Then we might hear a few more brief shuffles. Then comes the most remarkable utterance: a three-parted rattling sequence that lasts 5–10 seconds and gradually builds in volume like a musical crescendo. Sequences typically begin with raspy shuffles that grade into a series of rattling ticks that get louder and louder before suddenly terminating with an accented shuffle. Song is quite loud, but with a peak frequency of around 15 kHz, it can be difficult to hear. Sonogram of a Common Virtuoso Katydid. © Wil Hershberger.